Jon Athan: "A Phantom Passion" coming February 2, 2015! A Phantom Passion releases on February 2nd, 2015, exclusively on Amazon. This new and original horror novella follows a freelance photographer, Leroy "Lee" Vellon, as he falls in love with the ghost haunting his neighbor's apartment. Of course, not all is what it seems, and there are terrifying consequences when one interferes with the dead. Although it may sound like a lovey-dovey fantasy-romance book, rest assured, it's not. 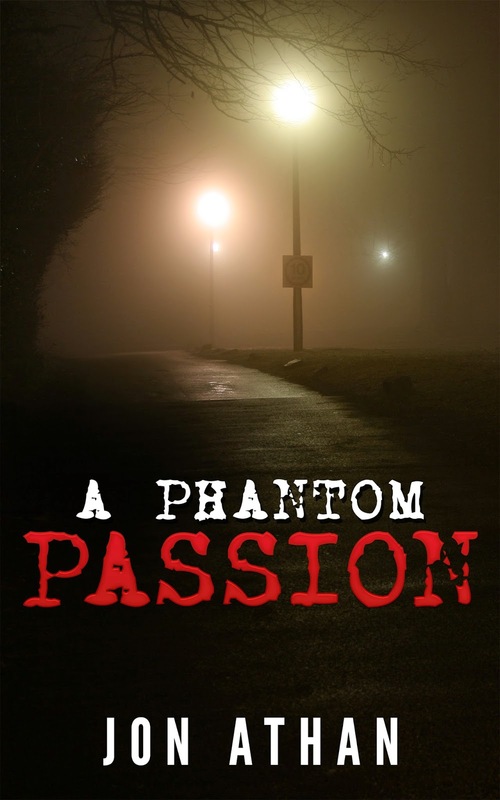 At its core, A Phantom Passion is a horror story that aims to horrify. It's a seamless blend of horror and mystery, with a pinch of romance and drama to amplify said horror. It's a supernatural horror story with themes of unrequited love and loneliness. So, that's what you can expect from A Phantom Passion when it releases on February 2nd, 2015. The pre-order should be available at least a week before release date, so look out for that. Of course, I'll let you know when it's available for pre-order and regular purchase on this blog and on Twitter @Jonny_Athan. I'm working day-and-night to make this my best story yet, so I hope you enjoy the final product. Let me know if you have any feedback.